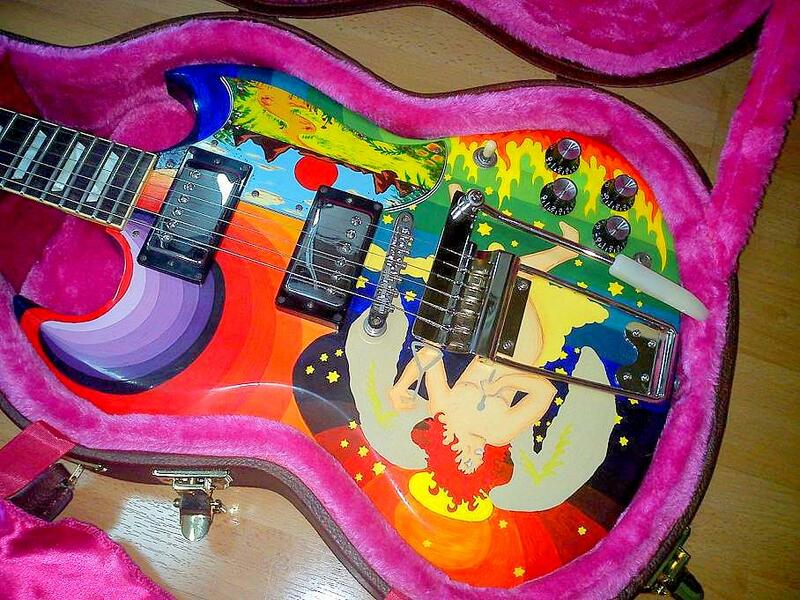 The Painted Player is pretty well-known in guitar circles for their faithful replicas of Eric Clapton's The Fool SG. For added authenticity each guitar is handpainted with paintbrushes to mimic the legendary psychedelic artwork on the original The Fool SG made famous by Clapton when he was with Cream. If you have been following my Les Paul Quest series, my good buddy Sherman recently decided to spring for Painted Player's The Fool SG replica while he sorted out his decision on which Les Paul to eventually get. 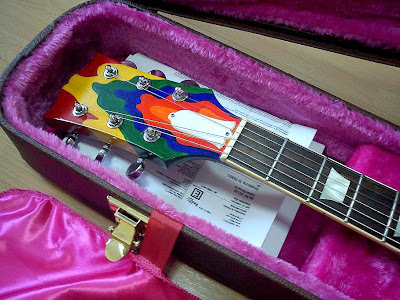 The Painted Player offers their Fool custom paintjob on any number of SG-style guitars that they might have on hand at a particular time. Which means that the customer has a variety of guitars to choose from depending on their preference and budget. The Fool SG - closeup of handpainted fantasy graphic and Maestro Vibrola tremelo, chrome metal cover removed. A great idea, since the serious player or collector will not have to settle for a cheapo guitar, while the player on a budget, or someone who just wants to hang the guitar on the wall, can get a lower priced alternative. Closeup of headstock artwork. Note period accurate wide headstock and bell trussrod cover. 1992 Orville 61' Re-Issue SG -- from The Painted Player's new-old-stock collection of guitars. Made in Japan by Gibson's Japanese Custom Shop from 1988-1998, the Orville is a faithful replica of the '61 SG featuring an ABR-1 bridge and PAF humbuckers. 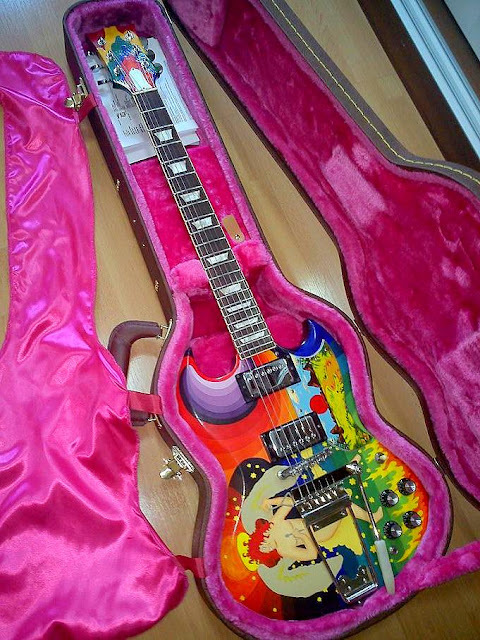 1988 Burny SG -- another Japanese-made guitar from The Painted Player's new-old-stock collection. Apparently, the Burny SG's from the 80's are highly sought after by collectors of Japanese-made replicas. 1992 ESP Navigator SG 320-LTD -- also made in Japan and one of the closest Gibson SG replicas, second only to the 1992 Orville. Sherman decided to go with the 1992 ESP Navigator which is the guitar you see in these pics, which he has generously allowed me to share. Thanks Sherm! He also went with the worn neck finish option, something which Clapton himself had done to his original The Fool SG, to minimize finish stickiness on the back of the neck. 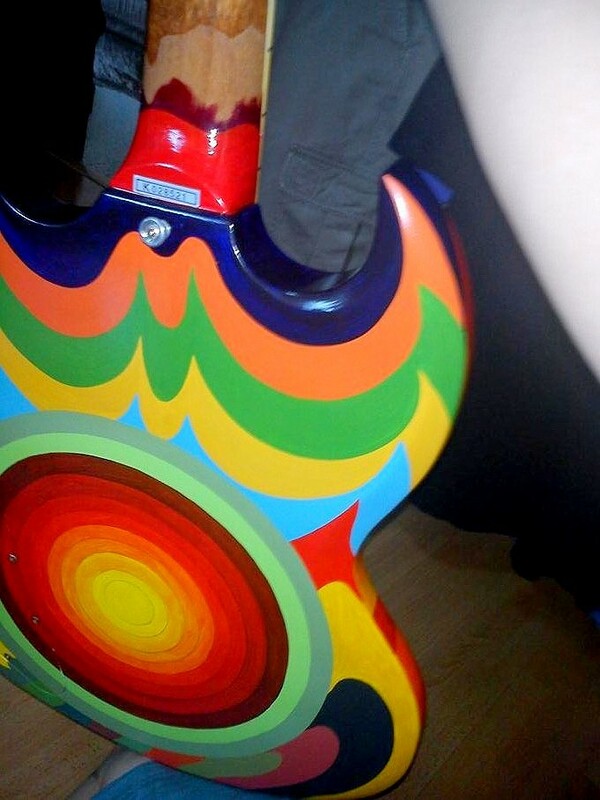 Interestingly, he had ordered the guitar with the back of the neck fully-painted, but it had somehow gotten misdirected by the postal service in the UK who sent it back to The Painted Player. 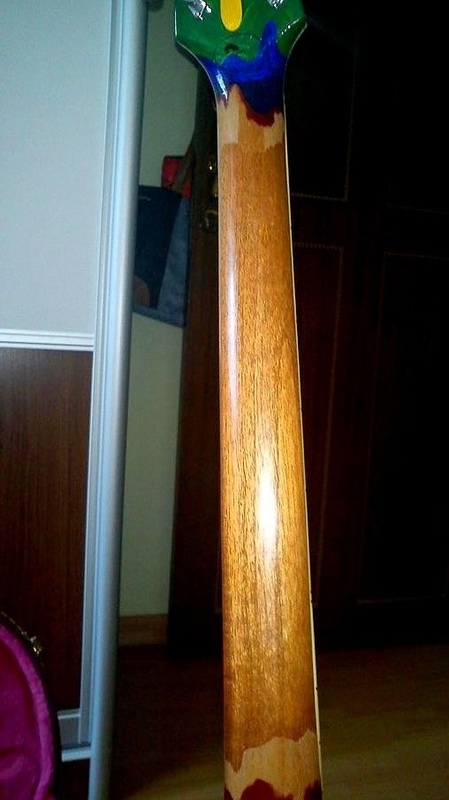 The guitar received its worn neck finish -- normally an option that comes with an extra charge -- as a sort of apology for the delay and the many days of anguish while the guitar was lost in the post. Talk about customer service!